Experiential and self directed learning pedagogies can help improve the self-efficacy of potential entrepreneurs, as well as provide insights from exposure to role models, markets, networks and business processes that can assist graduates to develop more successful ventures in the future. However, immersion experiences can also provide a wake-up call for students who over-estimate their own capabilities and/or under-estimate the complexities and difficulties inherent in the commercialisation of innovations and the growth of new or established enterprises. In effect, experiential educational programs can filter out students who realise they lack the skills, desires and/or intentions to ever become entrepreneurs from those who want to delay their entrepreneurial ambitions until after working for established organisations for some years or those who wish to continue with the development of their own ventures. The benefits, then, are two-fold: helping students to select appropriate career paths (e.g. to start one’s own business or work for someone else); and developing “real world” knowledge and skills that contextualise theory (for both groups of students) and improve practice (for those who wish to create their own ventures). 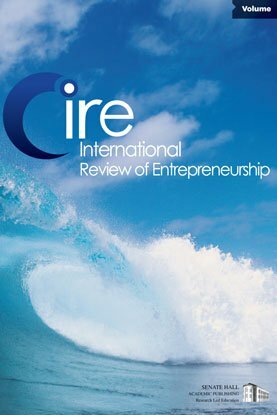 The following articles in this special edition of the International Review of Entrepreneurship focus specifically on the particular roles that immersion, collaboration and network development, and technology-based distance learning play in enhancing learning experiences. In this Introduction we also reflect on how coaching and mentoring can further improve effectiveness.